Michel Saint-Denis was one of twentieth century theatre’s most influential directors and theorists. 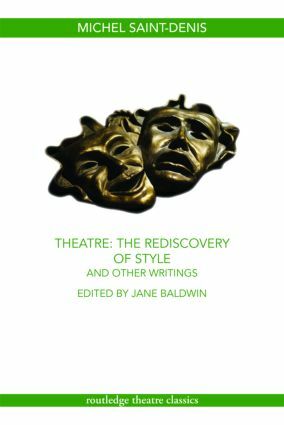 This book combines his seminal Theatre: The Rediscovery of Style with material from Training for the Theatre, newly edited to create a work which moves seamlessly from theory to practice. Theatre: The Rediscovery of Style and Other Writings benefits from Jane Baldwin’s new biographical introduction and annotations, that put Saint-Denis into context for a contemporary audience. It brings a wealth of inspirational material both to the rehearsal space and the classroom.